The Clubhouse hire is available for Birthdays, Weddings, Christenings, Receptions and other events. Bankton Mains is a great function venue. It has more than ample parking and all the amenites you would expect from a high class function suite, all for a very reasonable hire charge. 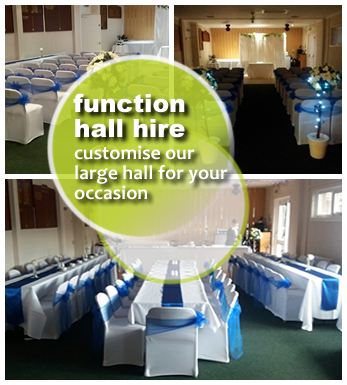 Non Members can hire the hall for £75.00, this includes a FREE social membership. ... with a social membership, you can then take advantage of all our Social Events, Cabarets, BBQ, Quiz and Karaoke Nights plus cheap drink! The price includes bar staff on the night who will be delighted to serve you from our well stocked bar. Use of the kitchen is available. There is a limit of 70 persons allowed in the main hall. Unfortunately, we do not cater for 18th or 21st birthday parties.